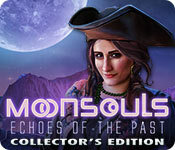 Moonsouls: Echoes of the Past Collector's Edition is rated 3.8 out of 5 by 43. Rated 5 out of 5 by yowzasma from I Was Surprised At How Much I Enjoyed This Game : ) Thank you Developers and Big Fish for this totally enjoyable game : ) I sooo agree with the positive reviews and want to thank my Fellow Fishies for their wonderfully descriptive reviews that enticed me into buying this goodie ! No glowing eyed spooks , skeletons in the crypts and " did I find the collectables for this scene". The music was gentle on my ears and I loved the Morphs. . As to the collectables - some were very well hidden but were findable thanks to the Guide : ) The colors, graphics, ratio of Hog scenes to minis good. 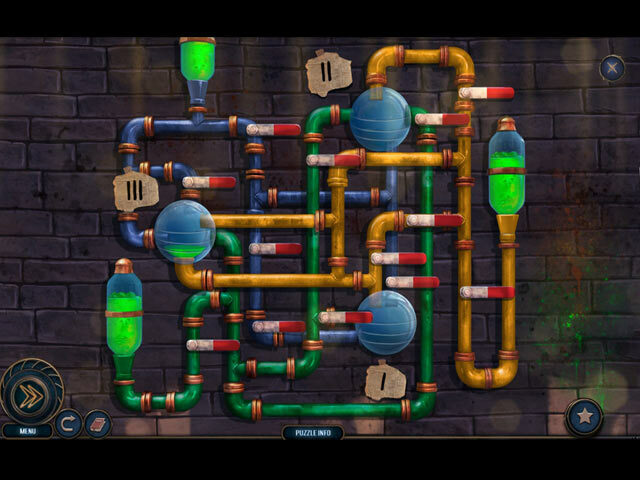 Synopsis - Very good and relaxing game that did not wear out my grey-matter ! I give this on a 5* out of 5 on my personal enjoy-ability scale ! Rated 5 out of 5 by Yurnmesis from Gave this one a SIX! Exquisite Graphics! This is a KEEPER! This is a KEEPER! BRAVO Developers! After taking a trial run, I purchased this game and was thrilled at the excellence of concept art, graphic design and attention to detail. This game has something for everyone! Characters are well designed and voice overs are nicely done. The story moves forward with interesting scenes and a variety of fun tasks. 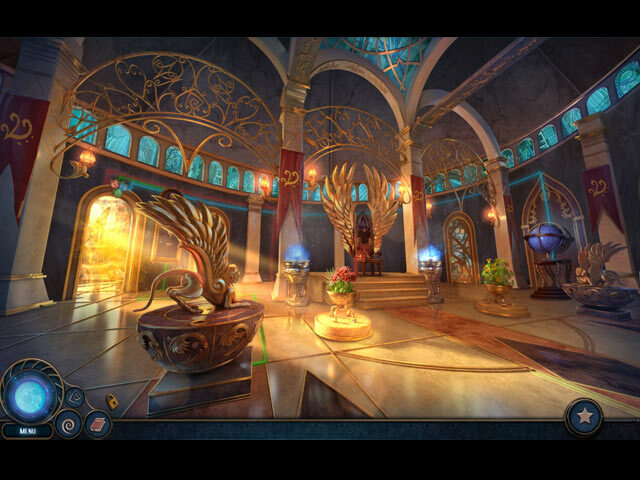 Hidden Object games are exquisite in design and offered great variety, also no hidden or dark corners, but they did a great job of hiding a few items to make discovery a bit more challenging...right in front of your nose! Mini games, not a fan, gave me reason to try them and even enjoyed some, a few are a bit on the difficult side and will make mini fans happy, found them worth the time and effort because they are very well designed and crafted. Because the story moves forward so nicely it was great to anticipate the next adventure which peaked curiosity and anticipation. No yawns in this one! The ending was well produced and NOT another one of those games with an abrupt ending that left me disappointed or scratching my head. This ending was a BIG plus for me! The bonus game was just as well done and also had closure. I plan to replay this game because I thoroughly enjoyed the journey and I missed some collectibles and morphing objects! Probably because I was more interested in the advancing story line, see what comes next, than finding either. Also this is NOT a short game! Alert: Morphing items can appear in the Hidden Object Games as well! Rated 5 out of 5 by h_a_phe from Excellent game with an original storyline! A truly excellent game! Fun, classic puzzles presented in original ways, and good (if a bit easy) HOPs. The voice acting was also very good (especially for the player-character), which is something that can easily break immersion if done poorly. The story itself was also unique and interesting, and the hand-translator was a fun touch. My only complaint is that the AI in any competitive puzzles (such as the colored-stone-link-up game) made things far too easy by being almost unreasonably bad, which made one or two of puzzles disappointingly shorter than they could have been. Overall, I loved this relaxing, imaginative, story-driven game and would play it again. Rated 5 out of 5 by JaneAustenFan from best game in quite some time I don't write reviews often, but had to for this game, which is the strongest one I've seen in a while. Ignore the crayon-y graphics in the opening scene--it improves very rapidly. Great graphics, music, HOPs, voice-overs--and story! Wow, a story that almost makes sense! And, guess what? No bat-winged, scarlet-eyed, soul-sucking demon dudes! How refreshing! Because I have a very good visual memory, I can't replay a game until 2-3 years have passed--yet with this game I almost wanted to start over again as soon as I had finished it. I look forward to future installments in this series. Rated 5 out of 5 by charlene_lane from DEFEAT THE EMPRESS AND BLACKSANDS REVIEW OF COMPLETED GAME AND BONUS I thoroughly enjoyed this game - yes its a si-fi. In the main game you play Harold who has to defeat the Empress and her side kick Blacksands, and the bonus game is about Isaac stopping a virus. There is: * Voiceovers (with dialogue); * New Moon, Crescent, Quarter, Full Moon, Luncar and Eclipse (Custom) modes of play; * Interactive map; * 11 Achievements (some with 3 circles); * Find 31 Collectives and 47 morphing objects; * Treasure Hunt and Ultimate HOP. The graphics are fabulous and everywhere is so well defined. Colours are soft and muted and the music is orchestral. I loved going through the scenes not knowing what to expect next. 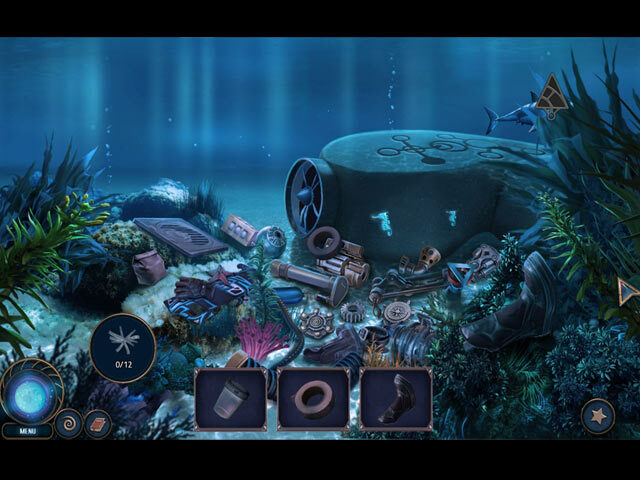 The hidden object games are mainly straightforward, silhouette, finding pairs and finding parts and colours of items. Because items are clear to see, each HOP only takes a couple of minutes to do. These are all replayable in the Extras and I did these all again to make sure I got 3 starts for each. There are a good variety of mini-games - ranging from easy to medium. The hardest one for me was avoiding the rocks in my space suit. This took quite a few tries because you have to be precise when you move left or right. It was great to find morphing objects in the game and bonus again. Some were quite elusive and took me a while to find. The swirls are very easy to see. You will see at the bottom left hand side of the screen whether you have found the morph and swirl. Get them all and you get an achievement. At the end of the bonus game you have a Treasure Hunt and Ultimate HOP. I always enjoy the Ultimate HOP as its a nice way to finish the game off. All up the game, bonus and extras took me about 6 hours. I loved all the different gadgets to use and the mechanics of the game itself. Overall, if you love a si-fi then this is definitely the game for you. There is plenty to do in each beautiful scene with just enough challenge to keep me interested. Happy playing fishies. Well done devs and I look forward to the next instalment. Rated 5 out of 5 by calsmom2001 from Great game! I very rarely write a front-page review, but this game earned one. I was hooked from the opening scene, and loved the different worlds aspect of this game. I played in Custom, as I always do, and found the challenge level to be just right. For once, I found every morphing object and collectible the first time through without hints - not because they were too easy, but because they were well-designed. (And yes, Mad Head should change out the spiral collectible.) There were two puzzles that I had to go to the SG for, because my brain just doesn't work that way; that can't be considered the devs fault. The graphics were amazing, with bright clear colors, and a varied palette. I left the music on, something else I never do, as it was varied, pleasant, and appropriate to the scene. Yes, the bad guys may have been a bit over the top, but aren't most villains (think of the Bond movies...). At least there were no demons, ghosts, or monsters. It was great to play an engaging, fun sci-fi story. I hope Mad Head continues with this series, I look forward to the next one eagerly. It took me just over five hours to play through the main game and bonus chapter. I never once got bored or wished the game was over, a frequent complaint of mine (my attention span is short, what can I say?). I intend to replay this in hard mode, something else I never do, just to see how challenging it can be. Two thumbs most definitely up! Rated 5 out of 5 by hdnseeker from Don't Let the Name Fool You! The moon is involved, but you visit many diverse locations. This is a fun game. This story line moves you through the game without long bits of dialogue. The story is neatly told in few words and you know exactly what is happening and why you are a necessary participant. You find the items you need before you forget where they belong. The HOPs are varied. Two of them I have never experienced before. The mini games had interesting twists in content, however I'm afraid many will find them much too easy. If you are wanting a game that will tax you and require concentration, this is not the game. If you want to have a little fun among bright scenes and interesting characters, go for it. Rated 5 out of 5 by psychomama726 from Best in a lllooonnnngggg time I never usually type up a review, but this one needs to be commended. I have not play a good game in some time so this was quite refreshing. Good unique puzzles, fun HOPs, new, interesting story -- all in all a wonderful game. Thank you for designing an enjoyable experience. Please keep the good ones coming! Rated 5 out of 5 by shripch from Yes! Fist pump time! Oh my, what a perfect game. Sounds, graphics, story, voices, and on and on. And it's Science Fiction! Set on a planet other than earth, moons, space ships, father and son dramatics, and, as I said, on and on we go! The only flaw so far (and it's not that big), is the business of the town people not being aware of a crash landing and a fireball so near to the town. I thought when we got to town square the people would be milling around looking towards the smoke and wondering what in the world just happened. Okay. I can live with it in order to get all the rest! Thank you developers! Buck Rogers and beyond!